how-to-order-cone-strainers | Welcome to Hillside Wire Cloth Co.
Hillside Wire Cloth is a leading provider of Wire Mesh Cone Strainer Products. Our Cone Strainer products are available in a wide range of specifications to meet the requirements of your application. Our Wire Mesh Cone Strainers come in numerous materials including Stainless Steel, Steel, Galvanized, Bronze, Monel, Nickel, Copper, and Brass to name a few. Please enter as much information regarding the specifications you require for cone strainers. 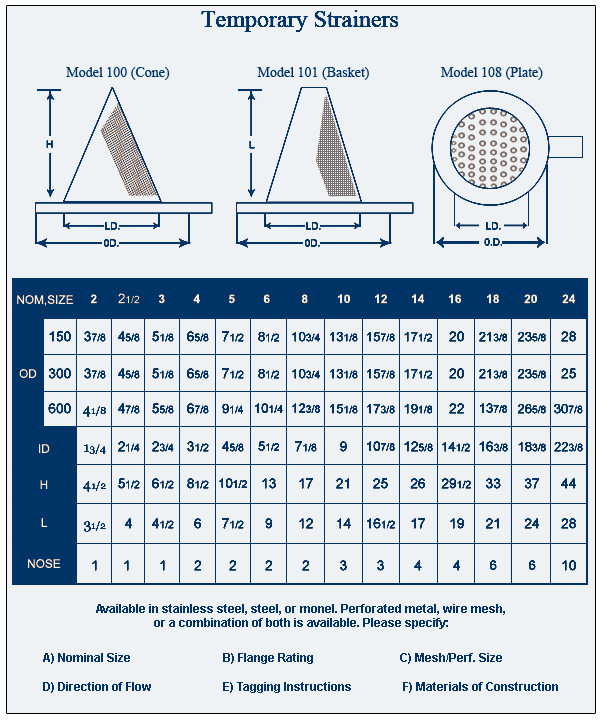 You may use this form over again for a additional Cone Strainer custom order quotes. Our sales team will receive your inquiry and contact you directly to assist you. Most quote requests are answered same day. If you have a special wire mesh requirements please tell us about it in the comments section (above) or call us directly at (800) 826 7395. We'll be glad to help you with your specific needs.